County Cork is the largest County in Ireland and famous for the birth of Michael Collins who was a leader in the 1922 War of Independence. The Titanic on her ill-fated maiden voyage made her last stop at Cobh (then known as Queenstown) in Cork Harbour, when some passengers embarked. There is a Heritage Centre in Cobh with special displays about the Titanic, the Lusitania and about emigration in the post-Famine years. The climate in Cork is mild, leading to interesting fauna and flora, as the area is warmed by the Gulf Stream. Dairy farming remains an important industry. West Cork is one of the most beautiful parts of the Irish coastline, with many areas still wild and empty but with colourful towns and villages to visit. It is arguably more beautiful than County Kerry but with fewer tourists. Schull is one of the loveliest villages in West Cork. It is set in the centre of an area of outstanding natural beauty with outcrops of granite rock juxtaposed with rolling grassy hillsides full of gorse and wild flowers. 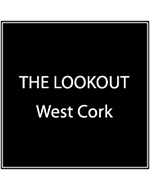 The highest point in West Cork is Mount Gabriel which rises directly behind Schull from which there are magnificent views over Schull Harbour, beyond to all the islands in Roaring Water Bay, to Baltimore and out to Cape Clear and the Fastnet Rock. Schull is almost as far southwest as you can be in Ireland – just 10 miles or so from the most south-westerly point of Ireland at Mizen Head. The climate is extremely mild with prevailing southwesterly winds and the benign effects of the Gulf Stream. The air is marvellously clear and clean. Schull boasts a large safe and welcoming harbour, with many islands off-shore (including Sherkin Island, Hare Island and Cape Clear) and the Atlantic Ocean beyond providing an excellent base for water sports especially sailing which is particularly popular during “Calves Week” – a week of regattas held each year usually in the first week of August. There is also tennis (free of charge tennis court near the harbour), pony trekking, a planetarium, fine restaurants, several welcoming pubs (often with music), a weekly Country Market, nearby golf at Bantry (15 miles away) and a peninsula rich in archaeology and fauna. It is a wonderful area for walking and cycling and excellent for holidays whatever the time of year. Most times of the year Schull is quiet but it becomes a thronging and bustling town particularly in late July/Aug and at Easter, Christmas and New Year.